It is a generally acknowledged fact that a musician is a true artist not owing merely to having brilliantly mastered the technique; he/she needs much more to become a truly distinguished personality – singularity, maturity, an eagerness to serve music, a yearning for constant discovery, rejection of the conventions dictated by the world around … It would certainly seem that the young Czech pianist and composer Sára Medková has been proceeding in the right direction in this respect. She has been pursuing her own path, perseveringly working on herself, while her musical faculties, as well as naturalness and non-conformist expressive style, which also encompasses the possibility of engaging extra-musical media (dramatic action, etc. ), have incited contemporary composers to strive to make the utmost use of her potential. Yet her repertoire is not only limited to contemporary music, embracing as it does classical creation too. Hence, it comes as no surprise that Sára Medková’s showcase album features three contemporary pieces, interleaved with works by Johann Sebastian Bach. By no means is the selection random, one in keeping with the vogue of combining early and new music. Coupling Bach’s music (of various forms and dating from various phases of the composer’s creative life) with contemporary pieces does not only aim to juxtapose the Baroque and the present eras; it also serves to indicate a number of connecting artistic aspects, with which Bach occupied himself in his time and on which present-day composers focus too. The extensive piano oeuvre of Johann Sebastian Bach (1685–1750) represents the period culmination of music for keyboard instruments, of which he, as an organist, was fond and for which he composed throughout his life, in virtually all the genres known and pursued during his time. He succeeded in imbuing all these forms with a profound, highly subjective content. A case in point is, for instance, dance suites, which prior to Bach’s era had mainly fulfilled a utility function. The English and French Suites bear witness to his having brought this form to its artistic culmination. Bach wrote the cycle of six French Suites, BWV 812–817, while he was living in Köthen. The title, most likely given to the work later, drew upon the similar conception of François Couperin’s suites, which start straightaway, without a prelude. Soon after marrying Bach, in 1722, his young wife, Anna Magdalena, noted down the original versions of the first five suites in her album, which she aimed to use for improving her keyboard technique and which she titled Clavier-Büchlein vor Anna Magdalena Bachin. The form and content of all the suites are similar. The individual dances are far from being of dance nature; they are stylised, technically refined, galant and rather lyrically intimate. The introductory Allemandes in Bach’s French Suites are of a prelude character, with the repetitions inviting improvisation of the ornamentation (as, by the way, Sára Medková is fond of doing). The more vivid Courantes, the noble Sarabandes, the more earthly Gavottes, as well as the other sections, comply with Bach’s tendency, directed towards poeticisation of the dances while preserving their outlines, as also confirmed by the final energetic Gigues. The Ricercar in C minor is contained in the Musikalisches Opfer (The Musical Offering), BWV 1079, a voluminous collection, which Bach completed towards the end of his life (in 1747) and dedicated to Friedrich II, King of Prussia. All its pieces (the three-voice fugue and the six-voice fugue, ten canons and a trio sonata) are based on a single theme given to Bach by Friedrich during their meeting in Potsdam, on which the composer was to improvise a six-voice fugue and which Bach considerably adapted. The three-voice Ricercar in C minor possesses the qualities of an improvised fugue, alternating strictly fugal passages with loosened elements of paraphrasing, with the motivic material of its interludes evidently having been inspired by the modern, compared to the harpsichord dynamically variable, sound of the fortepiano. Bach opted for the title “ricercar” (from the Italian word “ricercare”, meaning “to seek, to look for”) and thought up for it a Latin acrostichon, which refers to the origin and nature of the entire Musikalisches Opfer: Regis Iussu Cantio Et Reliqua Canonica Arte Resoluta, (“At the King’s command, the song [fugue] and the remainder [canonic movement] resolved with canonic art”). The Toccata in E minor, BWV 914, ranks among Bach’s early works – in all likelihood, the composer created it during his tenure as an organist at the Neue Kirche in Arnstadt (1703–1707), although some specialists have dated it to a later period of time (circa 1710). Made up of four brief parts, the cycle opens with a short prelude in a low register, followed by a double fugue and an expressively fantasy adagio. Up to the present day, the final fugue has been subject to speculations, for it is almost identical with a fugue written by an anonymous Italian composer of Bach’s time. The composer, musicologist and university lecturer Vít Zouhar (b. 1966) belongs to the group of artists closely akin to Sára Medková’s universe. The creator or co-creator of several operas, more than 60 orchestral and chamber pieces, musical plays and sound installations, whose music has been associated with postmodernism and minimalism, in his Six Pianos for piano and tape (1992) he toyed with the simultaneous sounding of six different repeating piano loops. The result is the emerging and immerging of the individual loops, producing a seemingly simple, even ambient effect, which, however, arises from sophisticated compositional craft. Zouhar implemented the original recording on his first, Kawai K1, synthesiser, and arranged MIDI loops in pro16 software on the Commodore C64. The new version, which is featured on the CD, was made on the Roland FP2 digital piano. Sára Medková chose from the score the parts she wanted to play, with the other instruments accompanying her from a tape. The word “Femininum” was introduced into the piece’s secondary title following its first performance, which was given by Dana Drápelová. 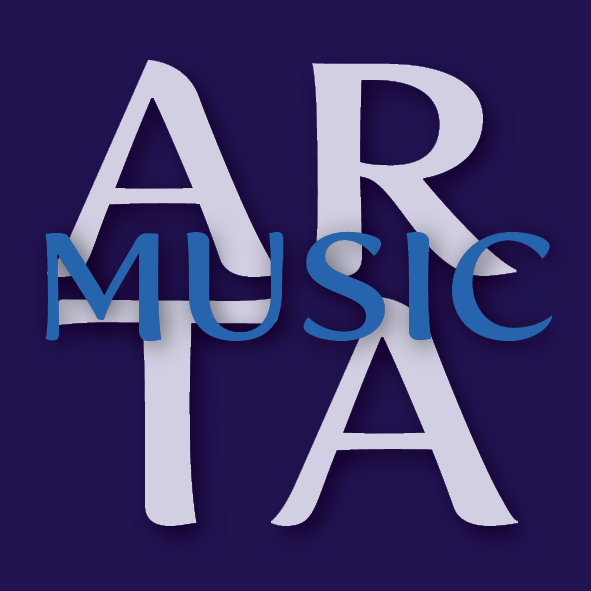 She has been followed by the pianists Patricia Goodson, Janna Polyzoides, and finally – in CD premiere – Sára Medková. The present album’s protagonist is a renowned composer too. Her creative activities are represented on the CD by Inside, a piece she created together with her husband, Ivo Medek (b. 1956), a composer, educator, musicologist, improviser and currently the vice-chancellor of the Janáček Academy of Music and Performing Arts in Brno. The team composition came into being as a result of the gradual sedimentation of the initially free improvisation, with Sára Medková predominantly playing the keyboard of a partially prepared piano and Ivo Medek exclusively inside an open piano (hence the piece’s title). Repeated performances of the original improvisation, for an exhibition preview, have led to an increasingly settled form and successive precision of details. Approximately two years after the work’s performances in the Czech Republic and elsewhere (Germany, Spain, Portugal, Poland, Albania, Croatia, Serbia, China, the USA, etc.) the process crystallised into the form in which the piece has been played up to the present day. Although the compositional element has markedly prevailed (a new notation has even been made), the performances have differed, as they have made full use of the loosely conceived factor of time, which allows for contracting or, vice versa, protracting the particular passages within the firmly given sequences, the expressions of the individual sections, the specific timbres and the tectonic course. The final track on the CD, a piece by Frederic Rzewski (b. 1938), a member of the legendary experimental ensemble Musica Elettronica Viva, forms the centrepiece of the album. By incorporating the spoken word and stage action, it places extraordinary challenges on the artist, while, at the same time, affording Sára Medková the opportunity to apply her performance abilities and spontaneity to the full. Rzewski wrote De Profundis for speaking pianist in 1992 to commission from the Centre européen pour la recherche musicale, reflecting his long-time penchant for Oscar Wilde’s writings. A visit to a 1984 performance, within which Luke Theodore, a friend of Rzewski’s from the Living Theatre, adapted Wilde’s texts, and the filmmaker Larry Bros’s notion of a composition for the pianist Anthony de Mare, which could serve as the basis for a future movie, were two major stimuli that were at the beginning of the work’s genesis. Oscar Wilde wrote De Profundis in the first third of 1897, during his imprisonment at Reading Gaol in Berkshire, to which he had been flung for two years for “gross indecency”. Actually a “love letter” to his partner Lord Alfred Douglas, it is concurrently a remarkable statement of an artist who, vis-a-vis a desperate situation, declares his attitude and relation to art. In his piece, Rzewski, who has frequently drawn inspiration from social-historical and political subjects, responded to the political activation of the issue of sexuality (especially the fight of gays and lesbians for their rights), which in the early 1990, almost a century later, intersected with Wilde’s text, in the background of which the question of the author’s sexual orientation is still – albeit latently – present. Sára Medková has performed Rzewski’s De Profundis on stages in Europe, China and the USA in a specific manner – with a simultaneously unwinding video, created by the Czech artist and computer games designer Lukáš Medek. 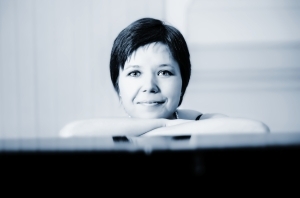 Sára Medková is one of the most talented pianists of the upcoming generation. She has been playing the piano since 5 years of age. After graduating in piano at the conservatory, she moved on to graduate in composition at the Janacek Academy of Music and Performing Arts in Brno under the leadership of Ivo Medek. In 2012 she has received her master degree of piano at the Academy of Music in Prague where she studied with Peter Toperczer and Ivo Kahánek. As the Erasmus student she spent one year at the University of Musik Carl Maria von Weber in Dresden with Arkadi Zenzipér. She was awarded many prizes from both national and international competitions. In the years 2009 and 2011, she received the presitgious stipendums of the Czech Music Fund and a grant from the Ministry of Culture. In 2012 she was asked by Rubinstein Piano Competition to compose an obligatory composition and in the same year she was awarded by the Czech Authors´ Organization as the best young Czech composer. She is a much-sought performer of contemporary music too. Her performances have taken place across the stages of Italy, France, Portugal, Austria, Switzerland, Germany, Poland, Great Britain, Denmark, the Netherlands, Serbia, Croatia, Albania, Bosnia, Egypt, Uganda, Texas, Slovakia, China, USA and the Czech Republic. Her own compositions have been performed in a number of European countries as well as the US. She attended international masterclasses under the leadership of Eliso Virsaladze, Andrei Gavrilov, Aline Zylberajch, Avo Kouyoumdjian, Inge Rosar, Daniel Polack, Daan Vandewalle, and others. She regularly performs as a soloist with noteworthy orchestras of both Czech and international acclaim (Brno Philharmonic Orchestra, Moravian Philharmonic in Olomouc, Bohuslav Martinů Philharmonic Orchestra, Academic Chamber Soloists, Brno Contemporary Orchestra, Moscow Contemporary Ensemble, Janacek Academic Orchestra and others under conductors such as A. Vinogradov, C. Couturiaux, M. Tworek, P. Vronský, P. Hanus, L. Svárovský, J. Klecker, P. Šnajdr, A. Kománek, L. Pohůnek and others). In 2009 and 2010 she initiated a unique project of triple concertos for three pianos by J. S. Bach, W. A. Mozart and her own triple concerto “Di Ritorno” in cooperation with the Brno Philharmonic Orchestra and Prague’s Academic Chamber Soloists. She cooperates with top soloists and ensembles from all over the world.